5 Reasons to Love Staying at a Disney Springs Area Hotel & 5 Reasons to Avoid It! 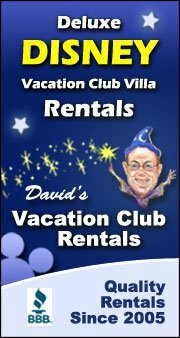 As DVC (Disney Vacation Club) owners, we typically stay at Disney Resorts. We are also Annual Passholders and decided last minute to go to Disney World over Thanksgiving week. With DVC you have to book far in advance and have the available points to stay in one of their resorts, so we needed to look elsewhere for accommodations. I ended up booking a stay at one of the Disney Springs area hotels, the Hilton Buena Vista Palace. Overall, we enjoyed our stay at this hotel, but it did have it’s drawbacks as well. The 7 Disney Springs Area Hotels include: Hilton Buena Vista Palace, B Resort and Spa, Doubletree Suites, Hilton Lake Buena Vista (yes, there are two with similar names), Holiday Inn, Wyndham Garden and Best Western. I’ll share with you my pros and cons of staying offsite at a Disney Springs Area Hotel! No over the top theming. These hotels are not run by Disney, so you will not have Disney theming in your face the entire stay. This could be a good thing or bad thing depending on your preferences. But, they did have a Disney Gift Shop on the ground floor for any souvenirs and outfitting you may need. Walk to Disney Springs – There are 7 Disney Springs area hotels and not all of them are an easy walk to Disney Springs, but the Hilton Palace is across the street and was an easy 5 to 10 minute stroll. Luxury for less – Thanksgiving week was $104.25/night or $727.10 total for the week (Sunday arrival through Friday departure). The same week at Disney’s All-Star Value Resort will cost you approximately $168/night or $817.20 total for the week. The same week at Disney’s Pop Century (higher level value) will cost you $187/night and at Disney’s Port Orleans (a moderate level resort) will cost you $270/night. The luxury for the price we paid did not disappoint. Pool Area, which included cabanas, a nicely heated pool and a lazy river! Extras! You will receive coupons for one alcoholic beverage per adult per day of your stay as well as one small container of sunscreen per adult per day of your stay. Fast-passes now @ 60 Days – This is brand new! Now, The Swan and Dolphin Resorts as well as the Disney Springs area resorts get the full 60 days just like Disney Resorts to book Fast-passes! Previously, these hotels had to book Fast-passes at 30 days! No Disney Theming: Yeah, I know I said this was a pro, but it all depends on the person. If you want Disney theming, this is not the hotel for you! Sub-par transportation to the parks! This was a huge issue for us. First of all, it is confusing. There are two buses, an A bus and a B bus. But, one of the Disney Springs Area hotels is called “The B Hotel”, so when you see the A Bus pull up, it has “B Hotel” written on it! As well as two Hilton’s with similar names, but separate buses. See, confusing! Second, there aren’t buses to each individual park. One bus takes you to the transportation center and you have to take a bus, boat or monorail to your desired park, whether Magic Kingdom, Epcot or Hollywood Studios. Except for Animal Kingdom, there is a designated bus for that. Thirdly, the bus pickup at the park is hard to find. They are not in the same location as the Disney buses and they just pull up anywhere. We had to find a crowd of people and ask what they were waiting for. We just had to hope we were in the right place. We then waited an hour for a bus. When we finally got on one, the driver got off and yelled at everyone that the bus was going to all Disney Springs area hotels. It was very chaotic and stressful to say the least. Extra tip: I thought we could walk to Disney Springs and hop on a bus from there to any of the parks, but Disney Springs buses only go to Disney Resorts. To get to Animal Kingdom from Disney Springs, we had to take a bus to the Animal Kingdom Lodge resort and then wait for a bus at their bus stop to get to the Animal Kingdom. No Disney Dining Plan – You can only sign up for the Disney Dining Plan when staying on site in a Disney Resort hotel. You also are not eligible for the Free Dining Promotions that are offered periodically. Can’t charge to room or send packages to room – This is the one that probably bothered me the most! I love the ease and simplicity of using my Magicband as a room key, park entrance and payment throughout the parks. When on our Disney Springs Area Hotel trip, I kept forgetting that I couldn’t use my Magicband for purchases. You also cannot take advantage of the “send purchases to room” perk as when staying at a Disney Resort hotel. Hidden Resort Costs – They will charge you fees to park as well as a daily resort fee which is not included in the cost of the room. So, these are my pros and cons for staying at a Disney Springs Area hotel. Regardless of where you stay, the true magic is found in the parks! Have you stayed at one of these hotels? Do you love or hate them? Do you prefer staying on site? Share in the comments section below! Are you planning a Disney trip? Did you know the services of a travel consultant are 100% FREE? We can also help you book a non-Disney property resort at any of the Good Neighbor hotels including the Disney Springs Area hotels! Fill out the form in the sidebar to receive more information or follow this link if your curious about the Benefits of Using a Travel Consultant. This entry was posted in Disney World and tagged animal kingdom, b resort and spa, best western, buena vista, cost, Disney, disney springs, doubletree, epcot, hate it, hilton, holiday inn, hollywood studios, hotel, hotels, inexpensive, love it, luxury, magic kingdom, orlando, palace, pools, resort, transportation, value, walk, windham garden, world, worth it. 4 Comments on "5 Reasons to Love Staying at a Disney Springs Area Hotel & 5 Reasons to Avoid It!" I loved sending packages to the room, and our buses were SO convenient! I agree! Some of the better perks to staying on site! This was extremely helpful and insightful. I am currently torn between staying at pop century (Its all we’ve ever known and like home to us!) But our little family of five is quickly growing out of those tiny rooms. SO im weighing the pros and cons of staying at a disney springs resort vs. on property resort. im so afraid it we will have a bad experience or that the savings wont be worth it in the end!